i was at an indian restaurant one day with friends when i heard a small child across the room babble what sounded like, "nick nolte." i told another friend about this, and she vowed to make her child's first words be "nick nolte." 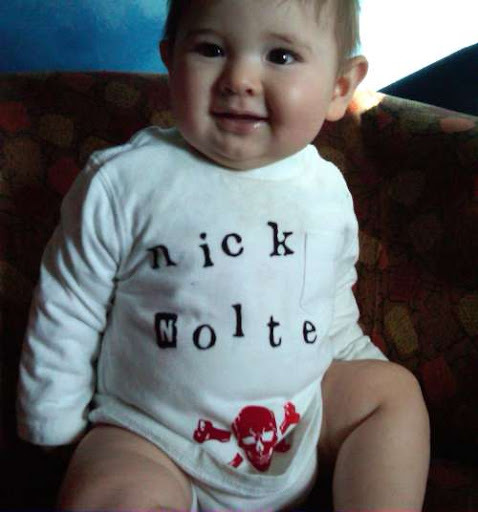 when he's old enough to eat it, i'm getting him a birthday cake with nolte's mug airbrushed on it. poorly. maybe stick some candles in the eyes and the wax melt down real low. then i'll take another picture and post it here. thus shall we mark the years.